January 21st is known as Blue Monday for good reason. Christmas festivities are a distant memory and summer holidays feel like a long slog away. 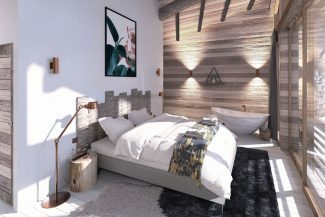 Fear not, luxury travel specialists, Firefly Collection, who offer a hand-picked portfolio of THE most spectacular chalets and villas have collated their most tempting properties to lift the mood. 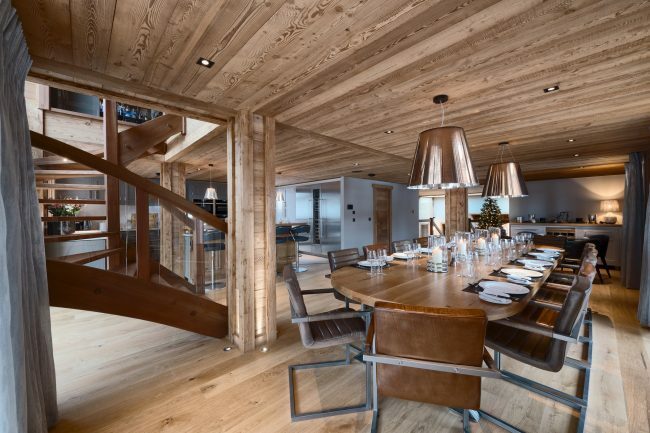 An ultra-modern ski chalet with oodles of luxurious touches. 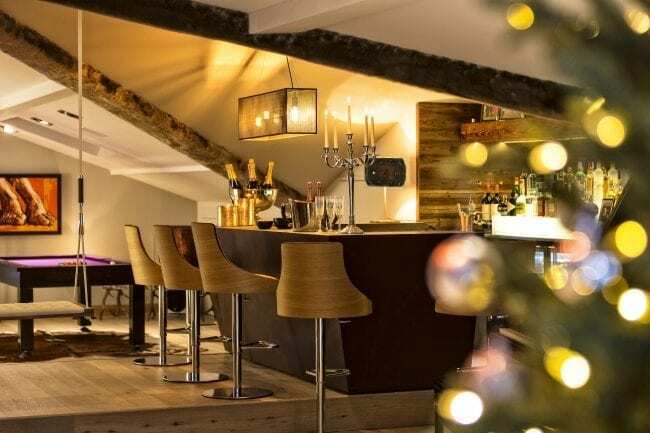 2019 won’t get much better than gazing at the stunning mountain views from the balcony, aperitif in hand. 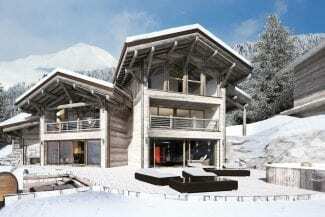 Close to all the bars, restaurants and boutiques of buzzing Les Gets, this property is at the heart of the action. 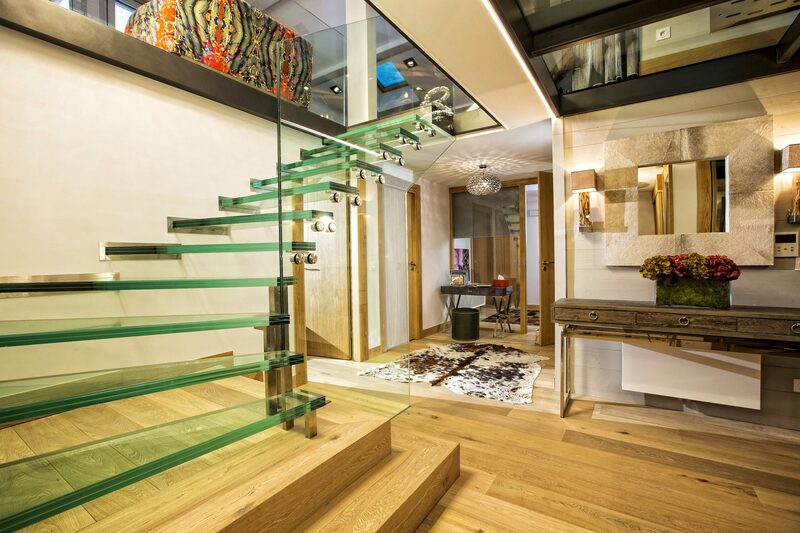 The fabulous entertaining area comes up trumps with a bar, pool table, piano and music system. 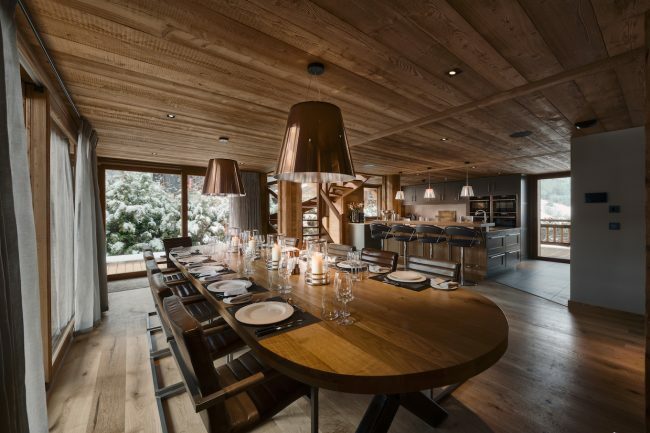 The private wine cellar can be stocked up with all the favourite apres ski must-haves. The private balcony features a sauna and hot tub to recline in after a day on the slopes. With a little bit of everything, Lodge des Nants is the perfect chalet to brighten up the New Year. Situated just moments from the slopes and town, guests find themselves in the perfect location for whatever takes their mood. 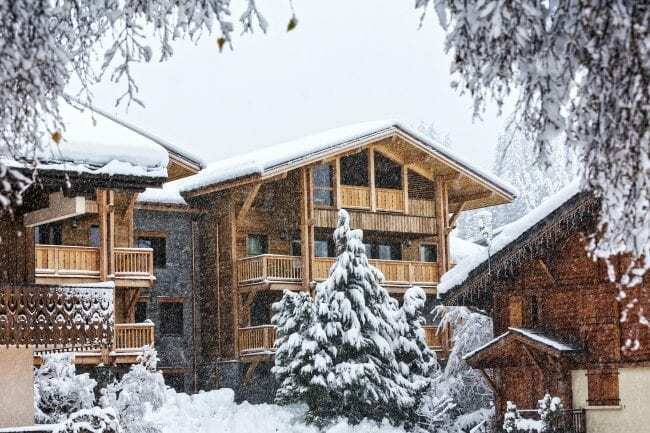 With an emphasis on wellness, Lodge des Nants boasts some excellent spa facilities including hammam, log sauna and indoor swimming pool. On the fourth floor, an open plan living are provides the perfect space to gather together, while an adjacent cinema room makes for cosy film nights in. 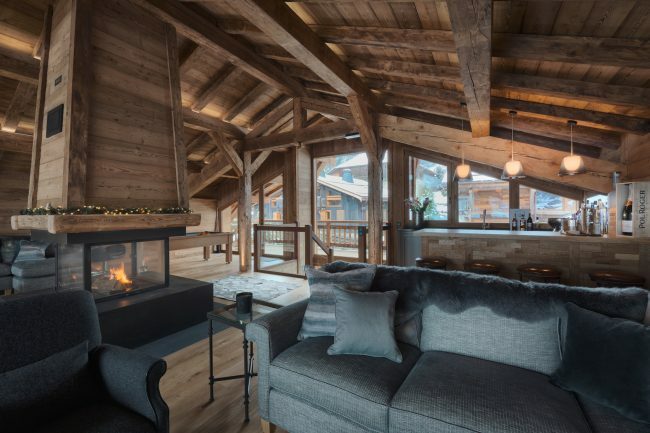 The jewel in the crown of this stylishly wood-themed cabin however, is the top floor which has a stunning view over the Morzine Valley with hot tub, outdoor dining area and just inside a bar, pool table and eye-catching central fireplace. 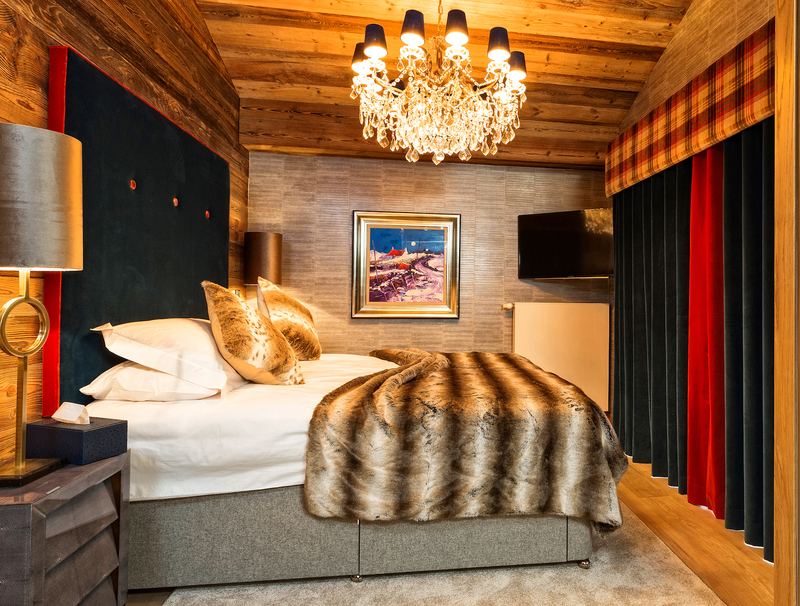 A property which offers outstanding facilities for both a relaxing and party stay, Chalet Sapphire has the very best of both worlds. 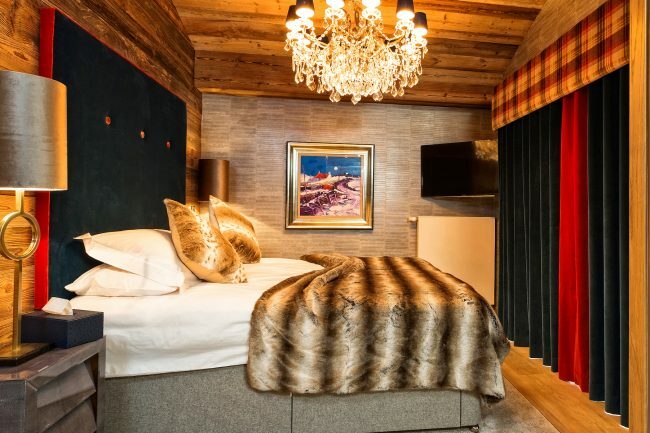 With the nearest ski lift just 500m from the door, guests can enjoy access to the very best skiing Portes du Soleil area before heading back to the chalets stunning wellness area to relax and unwind. 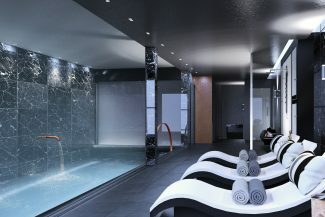 Features include an indoor pool with massage and counter-current jets where you can swim with a view over the mountains, a hammam and ice chamber, outdoor sunken hot tub as well as Bramford Spa with trained therapists available for a wide range of treatments. 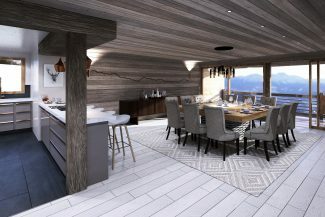 Once rejuvenated, guests can celebrate in the chalet’s bar and lounge, with a cinema room, pool table and open-plan living area with balcony and panoramic views ensuring everyone is entertained. 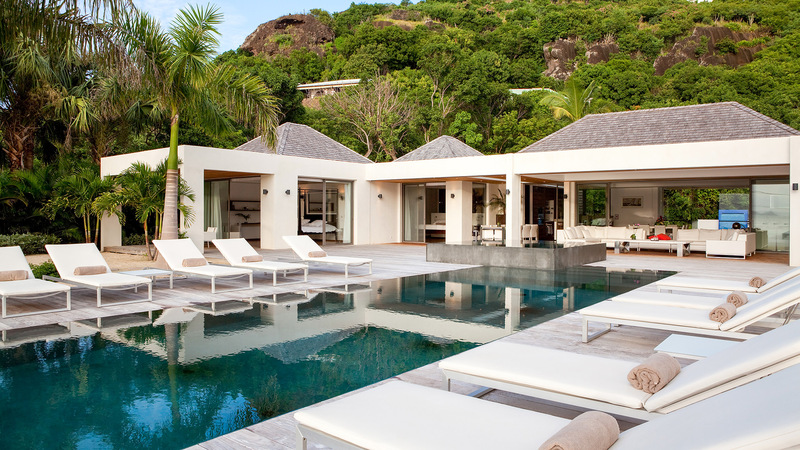 For an instant hit of beachfront bliss, Villa Phoenix offers a dreamy sun-drenched getaway. Perched on the Eastern edge of Lorient Bay, guests can enjoy the ultimate luxury island holiday with private beach access, butler service. 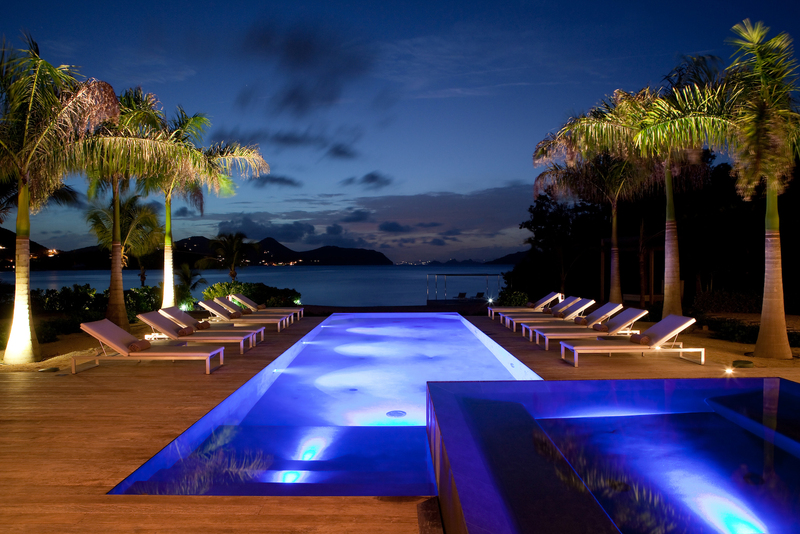 Jacuzzi and outdoor infinity pool all at their fingertips. 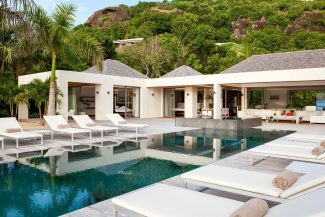 Decorated in contemporary white and rich dark woods, Villa Phoenix makes for the perfect secluded tranquil escape. However, if you wish to venture a little further simply set off on one of the stash of sea kayaks or paddle boards, or head over to the neighbouring Eden Rock hotel where guests can enjoy full use of the facilities including the fitness centre and wonderful restaurants. Nestled on the pristine white sand of Meads Bay with spectacular views of the crystal clear turquoise waters, Villa Ocean offers the best its name could bring to mind. 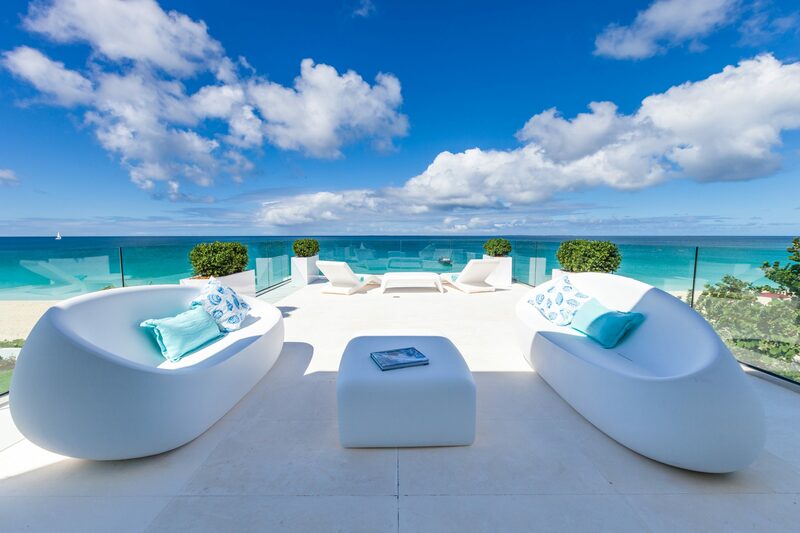 Decorated in minimalist white with bold patterns and uber modern furniture, it’s the perfect combination of five-star hotel and relaxed Caribbean bolt-hole with a breathtaking infinity pool taking centre stage outside. With staff on hand to cater to every need, guests are encouraged to take up all kinds of activities on the beach including snorkelling, beach volleyball and kayaking to name a few, Inside, Villa Ocean works perfectly both as a quiet place to relax or an exciting entertainment space, with a games room, cinema room to host movie nights and private bar.